Roger is a delight! His presence alone is a gift!! Beyond the comfort and laughter, his technique raises the bar to a new standard. His extensive knowledge is demonstrated in his crystal clear ability to target specific problem areas. Not a second is wasted in his precision, yet he finds a perfect balance to work with the muscles without an aggressive nature. He’s graceful in his work while maximizing the effectiveness of his craftsmanship. The only negative thing is kidnapping is illegal, so I must leave him in Tampa. However, his massages are well worth an eleven hour drive, so I’m certain I’ll see him again. I haven’t slept so well in months, and I woke up with no pain. My body feels great! Thank you so much!! I am an avid runner, participating in anything from a 5K to a full marathon, and Roger has helped me immensely over the past couple of years. I count on him to get me ready for all my major races, flying down the week before for our usual two-day session of PNF (major stretching) and Swedish massage. In addition, he has taught me many performance enhancing stretches and excellent breathing tips. With his help, I dropped more than 30 minutes from my first marathon to my second even though I ran the second with a foot injury. Had I not been injured, I’m sure I would have been even faster. 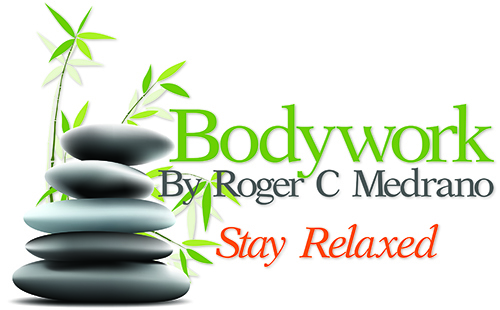 Since I first started working with Roger, he has introduced new services for men including facials and waxing. Since I normally spend two days having him work with me, I have treated myself to many of the various services. I ALWAYS get a salt glow treatment after a massage, and my skin feels great. It is awesome! Roger gets amazing results, and I will continue to fly to Florida for him to work on me. This is a high compliment regarding the fact that I have received well over 3,000 massage and bodywork sessions in my adult life. In fact, I did leave his spa with several gift certificates to hand out to some of the people attending my lecture! I have been having therapeutic massages for years before this, and I can honestly say that this was the most beneficial therapy that I have ever received. I have also had the pleasure of having several of his other treatments, such as microdermabrasion, the spa foot treatment, and body hair waxing services. I would highly recommend Mr. Medrano to anyone interested in a quality spa treatment at a very reasonable price.